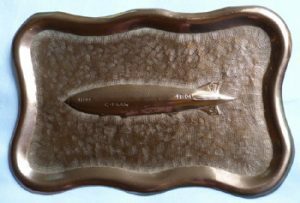 Original 1920’s commemorative copper dish for the British airship R101. Rare and original 1920's commemorative copper dish for the British airship R101. In excellent condition. Dimensions are 7 inches x 4.5 inches.